PRO 1 SERIES The original Beato Bag. The Bag of the Pro’s since 1982. 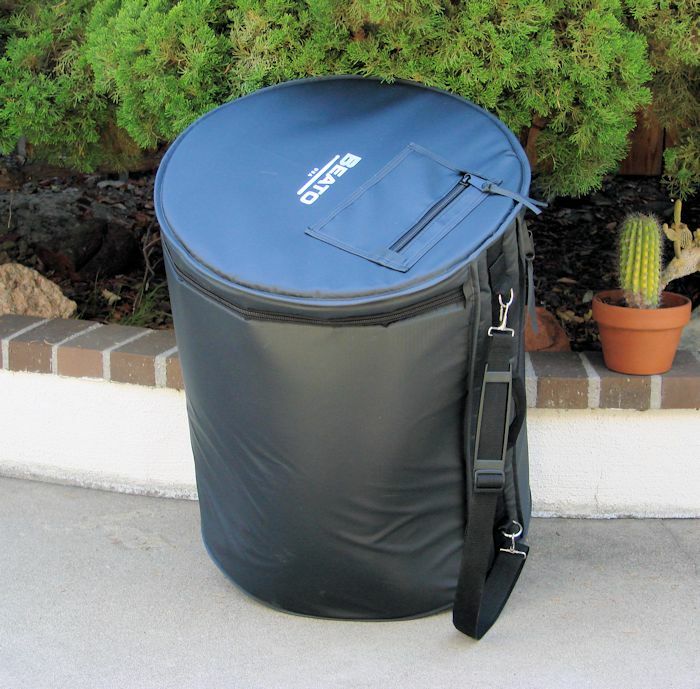 The Beato Pro 1 series bags are handcrafted in America, constructed from a 3-ply sandwich, heavy duty, smooth, matte black Tolex material with 5/8” foam padding that includes a hard-wearing black fleece interior. Sturdy YKK 10CF zippers, heavy-duty 92# nylon thread , with nail rivets and the most durable, black and red webbing for all bag handles.